Want More Women for Your Fire Department? Training committee, just to name a few examples. All fire and EMS organizations are being challenged to not only recruit, train, and retain good employees or members, but also to find members that will help diversify their department and make it more representative of the community it serves. The challenge is particularly great to find women who want to become firefighters. A study completed for the International Association of Women in Fire Emergency Services (iWomen) in 2008, A National Report Card on Women in Firefighting, stated that nationally women only accounted for 3.7% of firefighter positions in the United States. (That’s 11,000 women firefighters out of a total career firefighter population of 350,000 in 2008). I encourage you to read the full report using the link above. It’s a real “eye-opener”; unfortunately, reading it today I get the feeling that number for women firefighters has not moved up very far in the past seven years. The U.S. Army needs more women and more women leaders as it prepares for the full integration of women into its combat operations, i.e., front-line positions, in 2016. In an article that appeared on ESPN’s ESPNW website, Why Does The Army Care So Much About Women’s Lacrosse?, officials at the United State Military Academy (West Point) talked not only about the elevation of women’s lacrosse at the Academy from club status to NCAA Division I status, but also the Army’s philosophy concerning team sports and leadership. head on down to your local college and start recruiting at women’s sporting events, right? Not so fast. Another interesting piece of information contained in the iWomen’s study was that career aspirations of young girls are formed by the time they are 11 years old. You read that right. Behavioral research shows that by the time they begin their school years, young girls and boys already have some pretty “defined” ideas of what men and women can or cannot do, especially regarding jobs. “The same research, however, also indicates that those perceptions can be overcome through exposure to age-appropriate information and “hands on” experiences.”–Captain Jennifer Roman of the Madison (WI) Fire Department and one of the founders of CampHero. So perhaps you need to focus those recruiting efforts at youth sporting events for girls, and young girls at that. Because by the time they reach college-age they’ve already got that “mental picture” of what kinds of careers are for women—and that picture probably doesn’t include them wearing turnout gear. 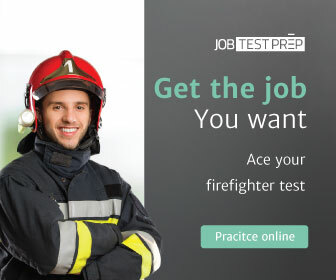 Previous: Why did you want to become a Firefighter?